Former Australia captain Smith and opener Cameron Bancroft recently opened up about the infamous ball tempering incident that shook world cricket in March. 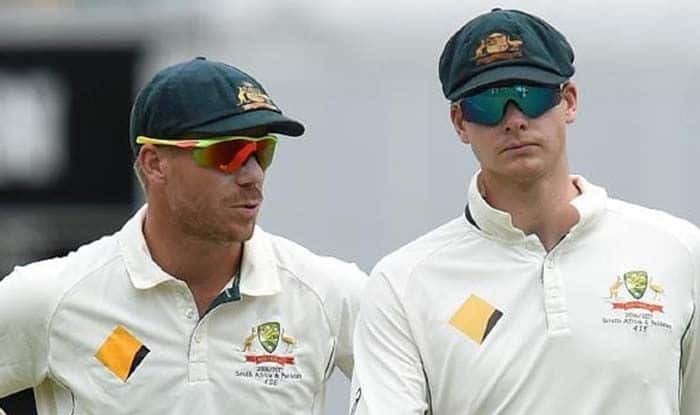 Australia’s limited overs captain Aaron Finch feels the banned duo of Steve Smith and David Warner will be “welcomed back with open arms” despite doubts that the former vice-captain may be dumped. Smith and Cameron Bancroft recently opened up about the infamous ball tempering incident that shook world cricket in March. The duo made it clear in their recent interviews that Warner was the instigator of the ill-fated plan in Cape Town. Some ex-players including former captain Ricky Ponting interpreted the comments as effectively making Warner the fall guy with Michael Slater saying that it would be difficult for the explosive left-hander to return to the team. “When Davey and Steve are ready to be allowed to come back and play cricket for Australia and their states I think from my point of view, they’ll be welcomed back with open arms,” Finch was quoted as saying by cricket.com.au. “Whatever’s happened, has happened. The punishment has been dealt. They’ve been working really hard off the field to meet every criteria, and go above and beyond everything that has been asked of them, to come back and play international cricket again,” he said. Asked if the Australian players have discussed the issue, Finch said: “There hasn’t been any chat about it in the changeroom at all to be fair.” Cricket Australia CEO Kevin Roberts had also stated that they had no plans of dumping Warner despite the recent unflattering statements by his two teammates.